This is not a problem as such as the feature works fine but I would like to understand why I get the above message. I started trying to trawl through the various links in the notice but with limited clues to hunt for I gave up! 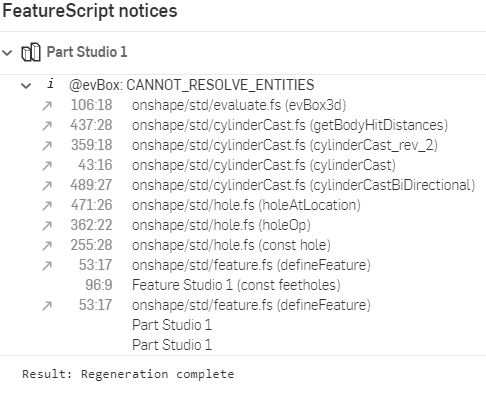 I am creating a sketch, creating sketch points, using these in the hole feature and then deleting the sketch points, the error occurs when I call the hole feature. to test if a variable existed so double thanks!